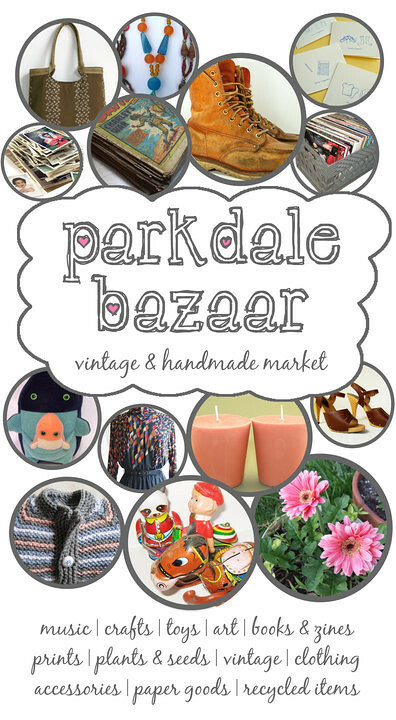 Don’t miss the Parkdale Bazaar this Saturday !!!! Where: Parkdale Town Square (corner of Queen Street West and Cowan Avenue). If you have any questions about the Parkdale Bazaars or the application process, please contact Mack at mack@parkdaleliberty.com. I’ll be there offering vintage/retro clothing, jewelry, antiques and collectibles at great prices!!!! This entry was posted in antiques, collectibles, jewelry, retro, sale, show, Toronto. Bookmark the permalink.